The File menu is accessed from the main menu only. 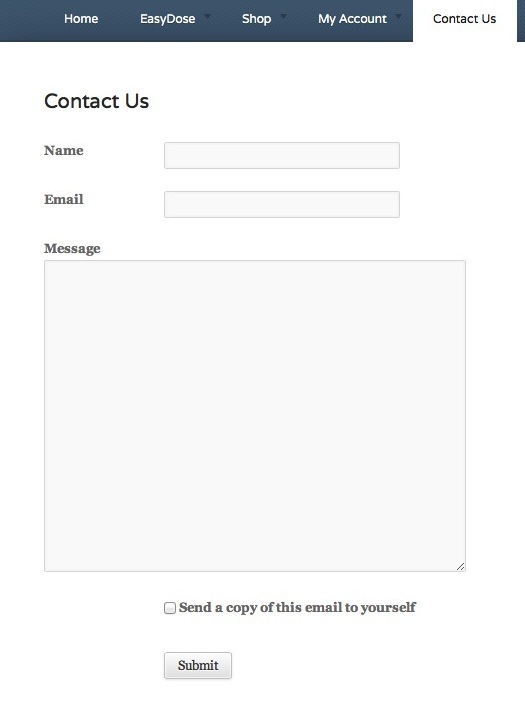 The following forms are opened or the following functions are performed from this menu. If an update is available, the system will report this fact and either force or allow the user to update EasyDose, depending on the type of update available. Critical updates are forced upon the user. This is a link to the Website. 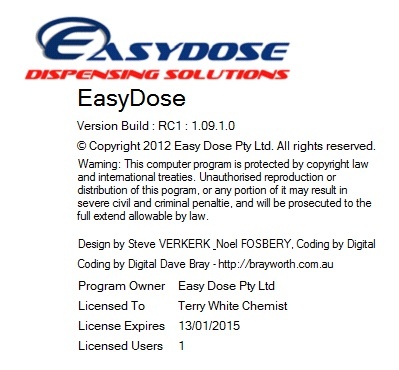 This link will open the EasyDose website at the installation instruction page. 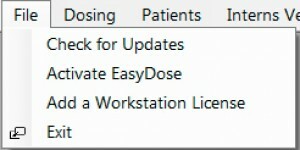 The Exit button on the quick access menu closes EasyDose.